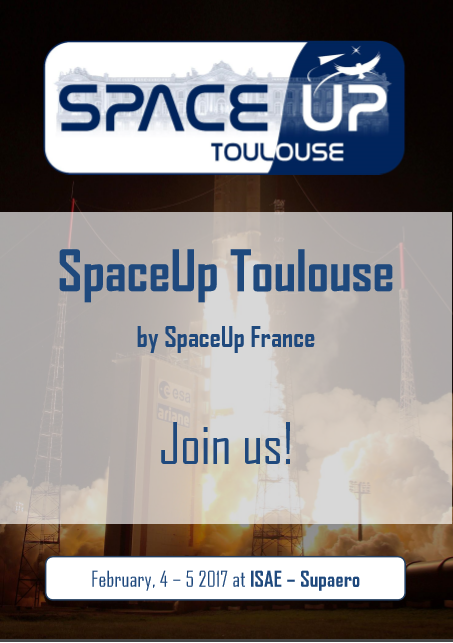 Accueil » SpaceUp Toulouse 2017 » Sponsor Us! We strive to keep the registration fees for participants affordable to all. Your sponsorship can make that possible! As a SpaceUp France sponsor, you will be able to play a vital role in our combined goal to promote the benefits, key issues and opportunities around space exploration and support the future of research, and scientific and technological development. A SpaceUp is a great communication tool if you are looking to recruit, raise your visibility, searching for new ideas or a validation of your goals. It also is an ideal place to convince the general public to follow you, no matter how (web site, publication, social networks…), and to support you. 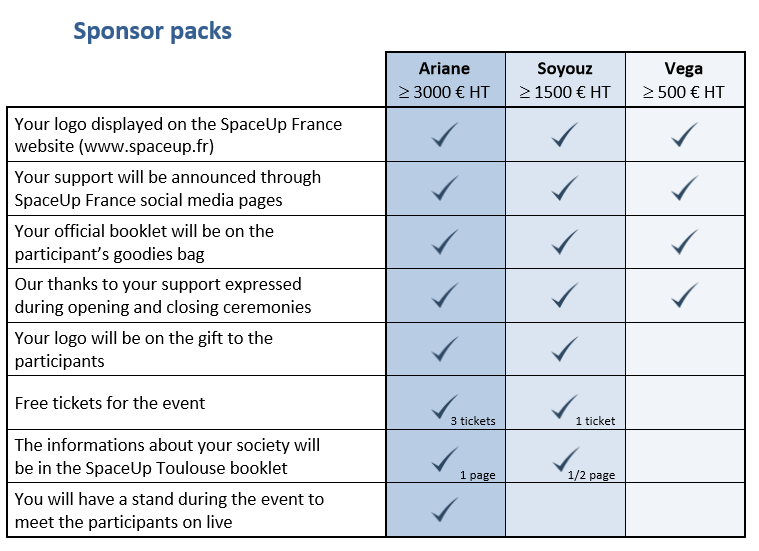 There are many ways to sponsor SpaceUp France! – Purchase one of the sponsor packages detailed below. Please do not hesitate to consult our Call for Sponsors [english version / french version] document and contact us !